You can sing, and your voice is one-of-a-kind, a powerful instrument to help us experience our freedom and awakening,connection, integration, wellness and joy! Throughout time, in all cultures, people have used their voices to heal, to feel united, to grieve, to empower and celebrate. Our voices can help us to consciously experience the union of apparent opposites- Spirit and Matter, ourselves and other. 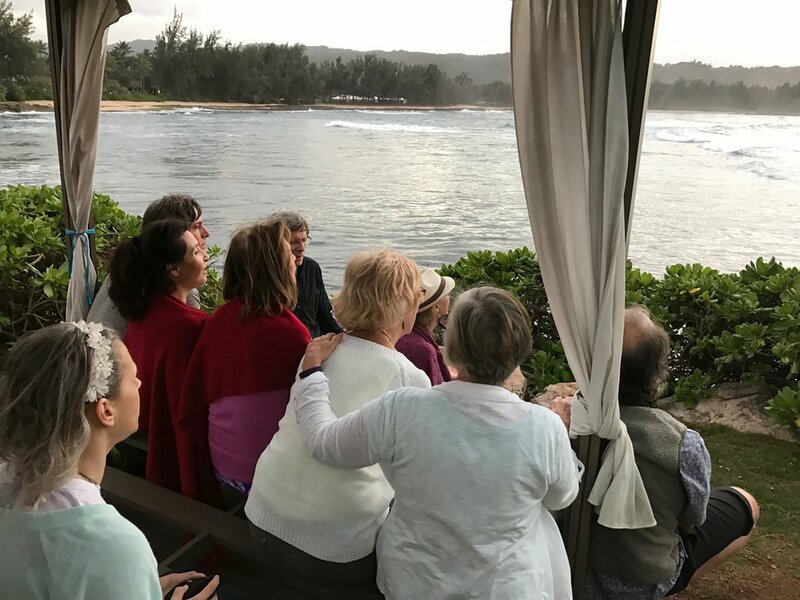 Our voices are healing instruments, and instruments of connection, joy, integration, transformation, authentic expression of the heart, playfulness and beauty. Chanting and singing can let the mind rest in the heart, and help us wake up to who we are. Our voices can lead us into places where compassion, love, creativity, and connection to love arise naturally. Life gets better. There is a pleasure and power in this kind of singing. Whether you're a professional singer or public speaker or tend to save your vocals for the privacy of the shower, you are welcome here! Gina's passion for engaging others in the power of sound allows her to facilitate events and classes for everyone. From facilitating workshops to leading retreats around the world - Gina provides something for everyone to use for growth and self empowerment. Gina Salā ~ Shakti Fest Get your discount tickets from Gina today! Gina is a vocalist, composer, teacher and chant leader with a repertoire spanning 23 languages . Her performance credits include the U.N., Cirque du Soleil and international festivals. She spent her early childhood years chanting in Swami Sivananda Radha’s ashram. She deepened her practices living in the Himalayas at Buddhist monastery in Nepal (Kopan), with H.W.L. Poonjaji ("Papaji") and through ongoing study with her esteemed sanskrit, tantra, and Indian classical voice teachers in India (including Vagesh Shastriji and Pt. Ritwik Sanyalji). With warmth, humor and devotion, she offers international retreats in sound wellness, sanskrit mantra, voice empowerment, dhrupad raga and chant in her annual “River of Sound” tour in India, workshops and a year-long Awakening Voice sound school. Her passion is helping us singing ourselves awake to who we are. Whether you're welcomed in India as sadhaks on the path of sound, relaxing on the rural north shore of Maui in a beautiful private tropical garden estate, or experiencing peaceful beaches, delicious food, birds, and waterfalls, and wonderful locals in Yelapa Mexico - traveling on a retreat of sound with Gina is a truely unique and enlightening opportunity for all.